* If you haven't already done so, be sure to sign up for our FREE Report & FREE Updates List at bottom of page. TomatoBubble does not sell advertising. We rely on reader support to bring you this unique content. 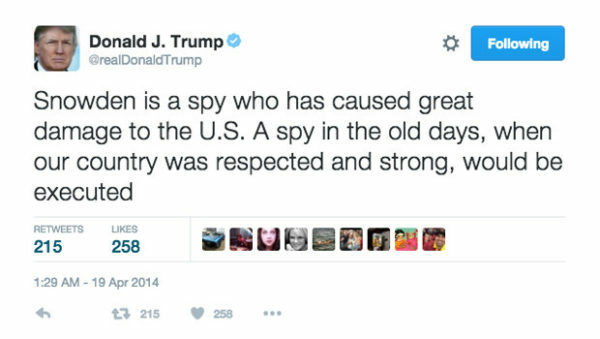 In 2014, Trump, the NSA's front-man, hate-tweeted about the CIA's Snowden and wanted him "executed." Why? Those of "youse guys" who have been with TomatoBubble.com / Anti-New York Times since we rolled the dice, left the world of corporate assholedom, and went "full time" blogging in 2013 (God, has it been 5 years already?!) will recall, that at a time when all of "conspiracy cyberspace" was going gaga with excitement over the National Security Agency (NSA) "whistleblower" Edward Snowden, we stood virtually alone in calling out his phony "heroism," from Day 1, as a CIA-engineered operation. Sugar, fire-up the time-machine and remind our readers what we so presciently published in August, 2013, during the peak of Snowden-mania. It was with a mix of concern and amusement that The Anti-New York Times viewed the blind public acceptance of, first, the "WikiLeaks" fraud, and now, the Ed Snowden scam. Even more troubling was the hasty eagerness with which so many of our constitutionalist, libertarian, and "conspiracy theorist" brethren fell for the twin "whistleblower" scam. The mission of the Global MSM is to steer the peoples' thoughts and opinions in the direction desired by the ruling class. The MSM would NEVER hype a story, or an individual, that poses a true threat to the ruling class which it serves. Remember the silent treatment given to Ron Paul? When all of the MSM start pushing/hyping the same given narrative, of any given issue, all at the same time, understand that the ruling class is selling you something! 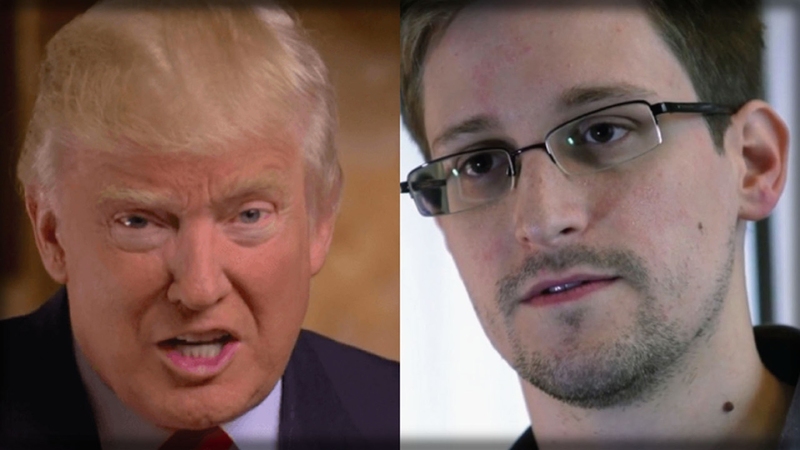 MSM DROPS THE EDWARD SNOWDEN HYPE-BOMB UPON THE WORLD! 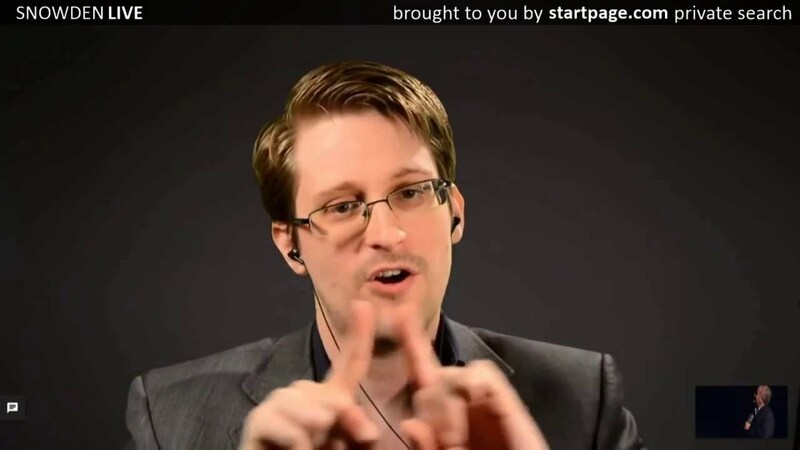 ... Snowden's revelations of NSA spying upon the public amount to all hype and no substance. It is already well known that the NSA can listen to phone calls and read E-mails. ... Snowden becomes a "fugitive". No explanation is given as to how he managed to escape, or how a fugitive was able to get on a plane. Snowden flees to CIA-infested Hong Kong where his "cause" is supported by a bizarre instant flash-mob equipped with professionally made bi-lingual banners and picket signs! A sure sign of CIA fakery. Professional banners and posters pop up instantly throughout Hong Kong. Instant 'pro-Snowden' Flash Mobs, with printed signs, pop up in western influenced Hong Kong. About nine months after that piece, we then posted an official confirmation of his spy-background, straight from the mouth of Mr. "Snowed-In" -- as in "snowed-in" Russia, where he sought "exile." How is that NBC's Brian Williams was able to get to the "fugitive" Snowden? "Edward Snowden, in an exclusive interview with "Nightly News" anchor Brian Williams, is fighting back against critics who dismissed him as a low-level hacker — saying he was "trained as a spy" and offered technical expertise to high levels of government. Snowden the CIA spy, er, rather, the "former" CIA spy, eh? Thanks for that admission, Mr. Snow-Job! Thank you -- thank you -- thank you! Though we instantly smoked this Deep State deceiver out as a CIA operative, we were only able to provide "youse guys" with a few plausible hypotheses for the scam, but never anything 100% solid. Was Snowden's game about blackmailing foreign governments with the threat, presented as a friendly warning, of the disclosure of NSA-obtained secrets? Was his "escape" to Russia intended to drive a wedge between Russia and the U.S.? Those theories may be partially true; but we could never really nail down the big picture -- until now, thanks to Q-Anon. When did @Snowden join No Such Agency? What year did @Snowden release spec-details of PRISM? IMPACT-LIMIT NSA's ability to utilize/collect? FAKE NEWS push for Congressional restrictions? Of course! The purpose of the Snowden "snow job" was to embarrass and cripple the "White Hats" of the NSA so that Obongo and/or Congress, prodded by the Fake News, could hopefully stop NSA from secretly collecting information on all of the criminal actions of the Deep State -- as patriotic Military Intelligence had done during the Communist penetration days of the 1930's and 1940's (Google: Venona Intercepts). Suddenly, a memory from a TV News program (I think it was Bilderberger Charlie Rose's show which I would sometimes watch as a form of self-abuse) came back to me. As the world was going breathless over Snowden, some talking head globo-commie on the PBS panel argued that the NSA was obsolete and that its capabilities should be handed over to the CIA! "President Obama has just 71 days until Donald Trump is inaugurated as our next commander-in-chief. That means he has a matter of weeks to do one thing that could help prevent the United States from veering into fascism: declassifying and dismantling as much of the federal government’s unaccountable, secretive, mass surveillance state as he can — before Trump is the one running it. The country is now counting on President Obama. This is his last chance to secure his legacy as the President who, in his final hours in office, did something extraordinary. He should shut down the NSA and related mass surveillance programs. He should physically destroy the databases where the sensitive personal information of hundreds of millions of people are illegally stored. He should release Chelsea Manning and pardon Edward Snowden. He should support efforts in Congress to curtail location-tracking and other dangerous data collection. He should declassify and reveal to the public any programs that he does not have the power to end. He should drag them into the light of day so we have a fighting chance of stopping them during Trump’s reign. He should bulldoze the data centers, computers and all, if he has to. He alone has the power to dismantle the U.S. surveillance state, before it falls into the wrongest of hands." Wow! That smells like some serious fear and desperation, don't it? It reminds us of Globalist Eienshower's "warning" about the "military-industrial complex" -- aka "The White Hats" who might one day rise and crush the Globalists. For Obongo and Deep State allies in Congress, shutting down such a mighty and entrenched institution like the military's NSA was never a realistic possibility -- perhaps because NSA had too much leverage on certain politicians already? 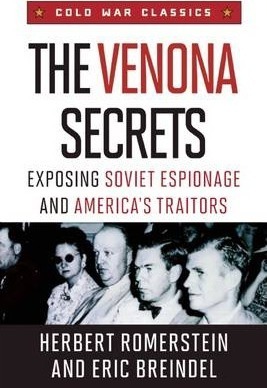 We thought nothing of such "kill the NSA" stories in the past because, at the time, it just seemed to us that CIA & NSA were both evil and corrupt agencies engaged in a turf war. But now we know better -- and a 5-year old riddle which has irked your curious reporters here -- like a tiny fish bone stuck in one's throat -- for 5 long years has finally been solved to our complete satisfaction. The CIA agent called "Edward Snowden" was sent to infiltrate and humiliate the NSA so that "illegally obtained" criminal evidence -- like that now being cleverly funneled, under various concocted pretenses and characters (Mike Flynn, Michael Cohen, Stormy Daniels etc) to lawmen Mueller, Huber and Sessions -- would never see the light of day. The Snowden snow-job not only failed to slow down the NSA, but it is quite possible that Snowden (current whereabouts unknown), has, like Dershowitz and Assange, been "flipped" over and persuaded to "cooperate" with the White Hat team. Our extended stay in "Crazy Town" is looking less and less crazy every day, ain't it? 'I don't believe in conspiracy theories! 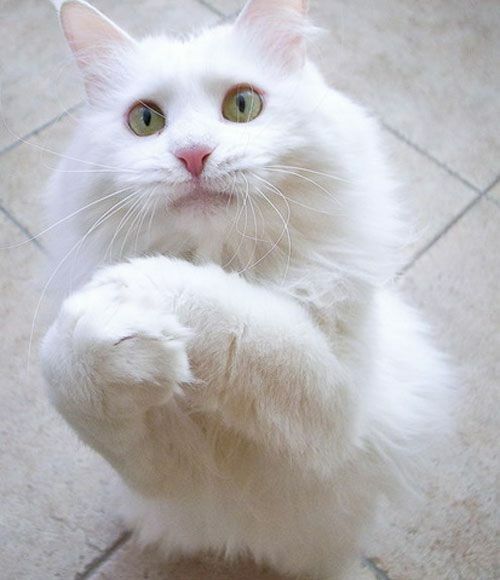 Go away!" FREE REPORT & FREE UPDATES! "Aw that's just a Conspiracy Theory." . No self respecting 'conspiracy theorist' should be without this essential BLOCKBUSTER REPORT! SIGN UP now and receive a link to the FREE report plus periodic FREE summaries of Historical & Current Events. Be sure to CHECK YOUR JUNK / SPAM BOX in case report doesn't go through. "History is indeed little more than the register of the crimes, follies and misfortunes of mankind." Edward Gibbon, English historian (1737-1794), From: "The Decline and Fall of the Roman Empire"